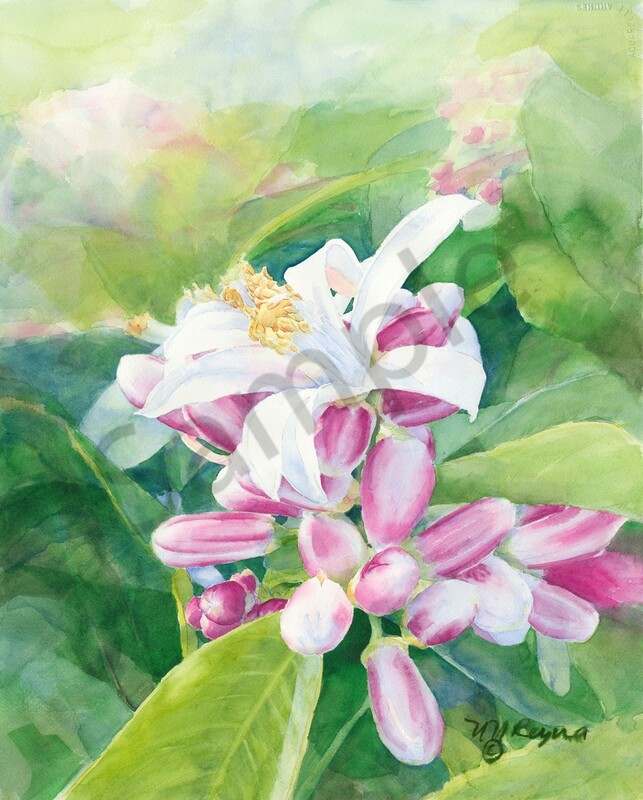 Watercolor painting of a sprig of white orange blossoms surrounded by their magenta colored buds. Watercolor painting of a sprig of white orange blossoms surrounded by their magenta colored buds. The simple, fresh, vibrant flowers in the sun evoke the scent of oranges and remind us that it's the little things that matter.